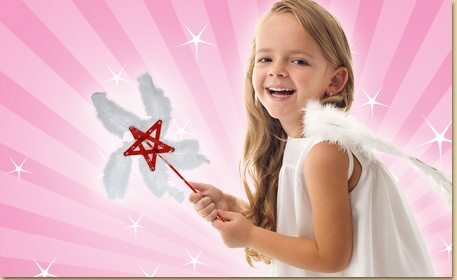 Be the princess you always wanted to be and make your own Feather Wand! Use craft sticks to create a star shape, paint them decorate with feathers and other sparkly items, like Acrylic jewels! Glue (5) Craft Sticks to form a star shape. Once dry, paint the star and a Square Dowel with (1) coat of Acrylic Paint followed by (1) coat of Glitter Paint. Once dry, glue White Feathers onto back of your star. Continue adding feathers all the way around the star shape. Glue the Square Dowel to the back of the star. Add Acrylic Jewels on the dowel and star shape.